Nerds! Geeks! 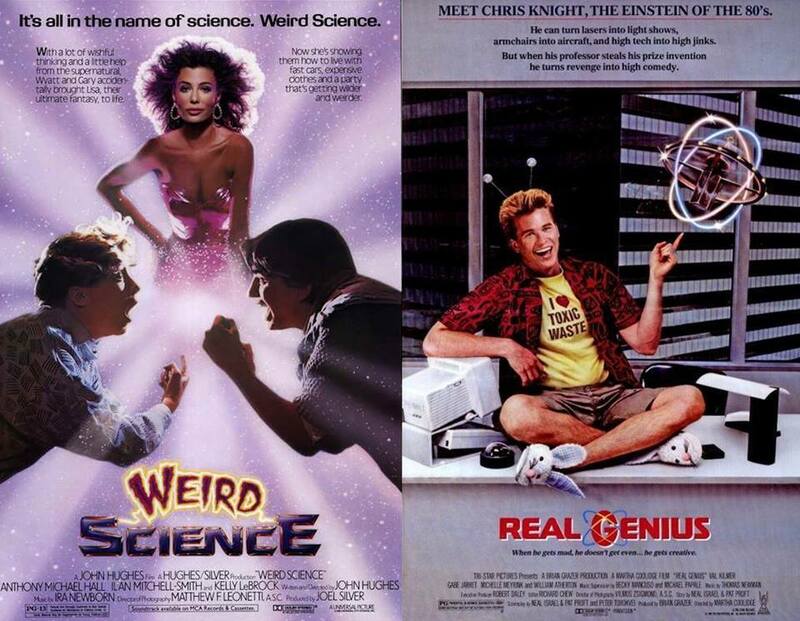 Whatever you prefer to call them, they're the focus of this week's episode as we go back to 1985 once again to discuss two popular 80s comedies, Weird Science and Real Genius! And we do it with two special guests live and in the flesh on our couch - L.A. friends Karyn Bosnak (author of Save Karyn and 20 Times A Lady) and Emily Foster (host of How To Be Less Old)! We all band together, drink Trader Joes wine and ask the important questions, like: what kind of magic robot slave would we make ourselves if we had the technology? What classic Disney character (surprisingly) really gets Justin's motor running? And how do you really heat 'house popcorn' with lasers? Fun times! Please check out our podcast on Facebook, follow us on Twitter @MovieGeekCast and find our pod and several other awesome ones like it on the PodFix Network! Subscribe and if you like us (like really like us), we'd appreciate it if you leave us a positive rating and review on Apple Podcasts! You can also email us any questions or comments to moviegeekcast (at) gmail (dot) com!